This Saturday brings about another Tekken 7 tournament at Tekken HQ in Melbourne on the two Tekken 7 cabinets. Make sure to be there for some authentic Tekken arcade tournament fun! Where: 422 Bourke Street, Melbourne CBD, Melbourne Tekken HQ. Format: 1 on 1, double elimination, bo5 rounds, bo3 games. Every entrant will receive 5 game credits for T7 to be used up until the next tournament date. So essentially $5 to be used at your liking… This is to try and entice more people to join in the fun and so everyone gets something for their entry fee! Prize pool, usual split %, but 3rd can either take the cash or get extra bonus credits (depending on the entry). For example, if 3rd will get $20, you can choose between $20 or 30 game credits to use prior to the next tournament. Further details are available via this post on Facebook. Another great AUFGC focused video has surfaced over the last couple of days, this time highlighting not just OHN14 but Australian Tekken as a whole. 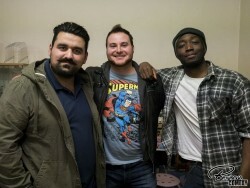 The Tekken community is one of the most notoriously hype scenes in Australia and Bukk has put together a fantastic montage of the many faces and events the Tekken community has been a part of over the last 5 years. Check it out below. As we’ve highlighted previously, since Tekken 7 won’t be released on consoles or PC until early 2017, we are only able to include Tekken 7 in the official line-up for OHN14 thanks to generous support from Bandai Namco Australia. They’ll be bringing two head-to-head tournament stations for Tekken 7 using arcade hardware plus an additional setup featuring the Fated Retribution update for casual play. Since the Tekken 7 tournament stations rely on arcade hardware we are unable allow players to BYO controllers for the Tekken 7 tournament. Efforts were made to relax this constraint however we were recently informed this could not be achieved. Instead all competitors must play their Tekken 7 matches using one of the Hori Real Arcade Pro 4 Kai arcade sticks provided by Bandai Namco. The official tournament rules have been updated to reflect this controller constraint for Tekken 7. We apologise for the lateness of this announcement and for any adverse impact it may have on competitors expecting to play in the Tekken 7 tournament using a game pad. Registration for OHN14 closes on Monday August 22nd and right now we’re 62 passes away from our 600 pass cap. Please register before we run of time or passes to avoid missing out. Australia’s impressive contingent at Evolution 2016 included several enthusiastic Tekken 7 players. Over on the Australia Tekken Community Facebook group member Daniel Ng has compiled a list of Twitch archive links for key Australian player Tekken 7 matches at Evo. These include matches from the official tournament pool, some exhibition matches and a few casual games. The full list is available in Daniel’s post on Facebook. Be sure to check out the matches before any Twitch archives expire. There were a couple of tournaments that took place over the first weekend of July. 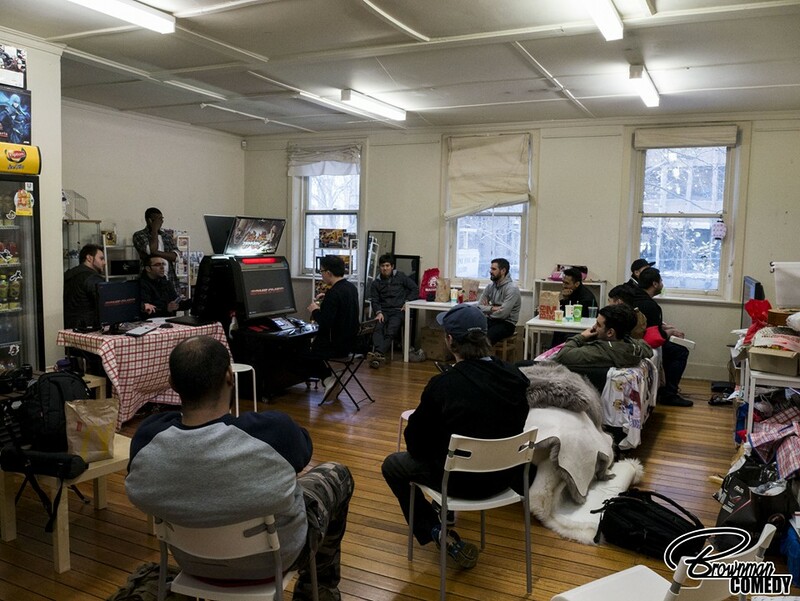 In Melbourne the local Tekken community ran their first arcade tournament for Tekken 7. Victory went to Jonathon Garofalo. Check out the results thread on Facebook for match videos and photos from the tournament, a couple of which are provided below. 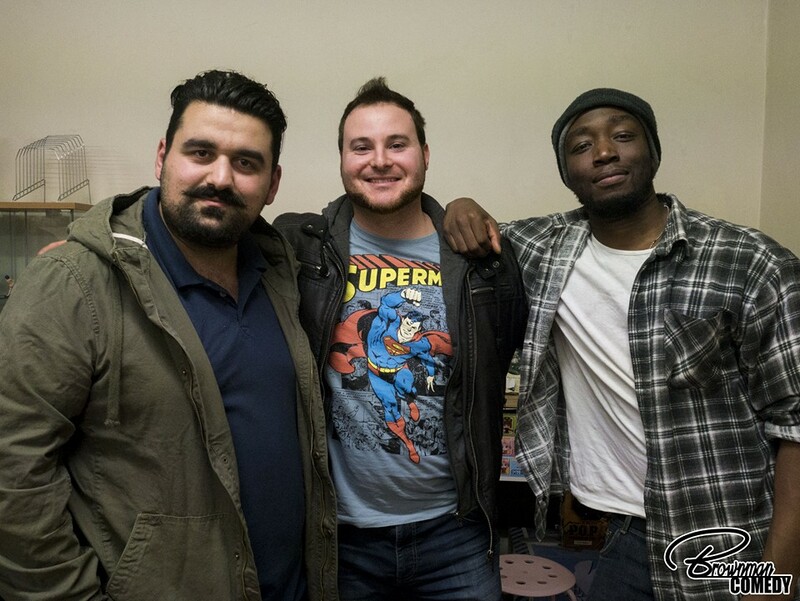 Top 3 for the Melbourne Tekken 7 tournament on July 2nd. 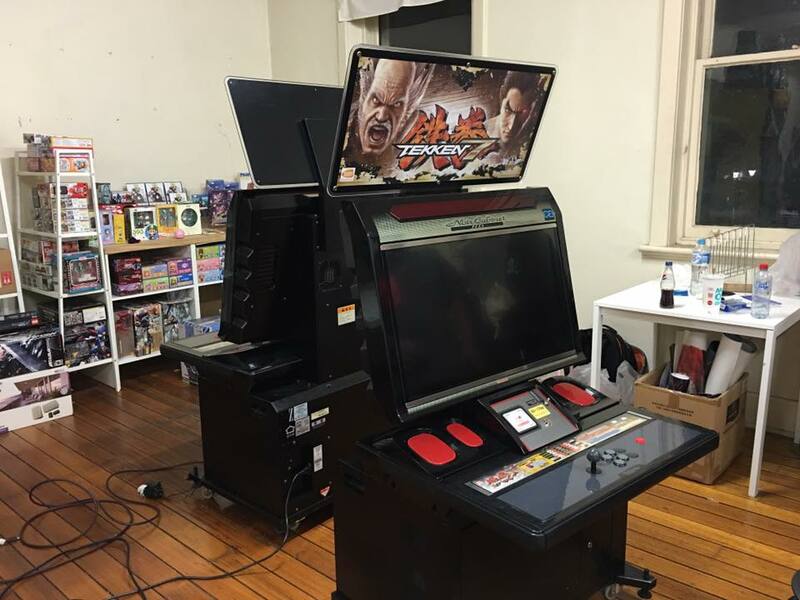 The Melbourne community arcade setups for Tekken 7. On Saturday the third Sonic Boom tournament was held at GUF Brisbane. In addition to the regular Street Fighter V tournament there was also a tournament held for Ultra Street Fighter IV. Below we have the top 3 results for both game, taken from the results post on Facebook. UPDATE: unfortunately this event has been cancelled, though it might be rescheduled for a later date. Please refer to this Facebook post for details. Melbourne isn’t the only city vying for national supremacy in Tekken 7 at the OzHadou Nationals 14. With Fated Retribution about to arrive in arcades, the fine folks at Bandai Namco ANZ have invited OzHadou community manager FaYd to run a “farewell” arcade tournament for Tekken 7 in their office in Redfern. The office is being open specifically for this event, so participants are asked to respect the staff and premises while attending. Thanks to Steve from Bandai Namco for providing the Sydney Tekken community with this great opportunity. For all the details including tournament format and prizes, read FaYd’s announcement post on Facebook. Following the recent establishment of Melbourne Tekken HQ in the CBD, the local community is ready to start running regular tournament for Tekken 7 in the lead up to the OzHadou Nationals 14. It’s been tough for Tekken players to get quality time with Tekken 7. The arcade-only status has made accessing the game difficult in Australia where up-to-date arcades are very rare. If you’re keen to get into the game or test your abilities ahead of the much-anticipated console and PC release in early 2017, Melbourne Tekken HQ is well worth visiting. Full details are available via this post on Facebook. There’s a new location in Melbourne this week with a Tekken 7 cabinet. Community member and stream expert Baraa has announced that “Jin’s shop” on Bourke St now has a pair of Tekken 7 cabinets complete with direct-capture for recording matches. The Melbourne Tekken community has worked hard to get this setup together. If you’re looking to get into the game ahead of its highly anticipated console release, or need to train up for the OzHadou Nationals in August this venue is worth supporting. Here is a recap of all the Tekken 7 locations in Australia that we currently known about. If you know about a Tekken 7 location please contact us and we’ll add it to our list. Visit the Australia Tekken Community page on Facebook to find out when and where people are playing, and to keep up with news regarding local arcade tournaments and meets for Tekken 7.